Each state in the United States has their own culture, people and their own economic situations. Much like the weather and changing political landscapes, each state experiences hotter and colder real estate markets. Location: Florida is bordered to the West with the Gulf of Mexico and Georgia and to the East with the Atlantic Ocean so the climate is warm and there is access to many beaches. You just can’t beat winters in Florida, and that will never change. Market saturation: The saturation of the market in real estate is crucial at the time of selling because unlike other states such as New York or Los Angeles, Florida has a smaller population. It is also important to think about the reason why its such a successful state. 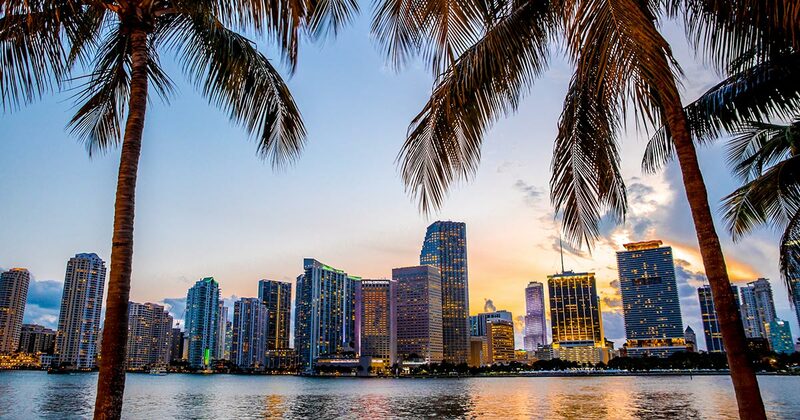 Following the example of New York, Florida is chosen more as a place to vacation and relax, so there is not such a large saturation of the market, in contrast to New York which is more chosen as a place to live and to have presence for the biggest business and companies. Buy in an environment where it is easier to stay because of the type of market and its economic movement is always a smart way to invest. Ultimately, Florida has all of them. Extension: With extension we refer to the space you have to build and buy, well as it is known, a license is required by each state to sell and do Real Estate Business, Florida ranks 22 out of 50 countries, so it is not so big, but enough to add surplus value and obtain business. With greater profit (due to the law of supply and demand, because of lower demand, the higher its price) but not as large as in other overpopulated states with less territorial extension. Recreation: As mentioned before, Florida is considered as a place of rest and as a holiday resort due to its proximity to the coasts, this causes that the surplus value increases and therefore the price of the Real Estate increases and obtains greater benefits for the client. Full of shopping malls, beaches and amusement parks such as Walt Disney World, Bush Gardens and Universal Studios Florida. With all of this there is no more to say to convince us that Florida is definitely an excellent place to live. Feasibility: With an extension of 2 371 km on roads, Florida has a great expansion and viability that makes it much easier to access and navigate its streets, which will always be an important aspect for a buyer and a seller of Real Estate. It has four main interstate highways, which are 1-4, 1-10, 1-75 and 1-95. Not to mention the toll roads like 1,-75 and Florida’s Turnpike. In summary, Florida is a great tourist and entertainment center as well as a great state to vacation. Many real estate brokers are investing in Florida as it is of the most wanted by buyers. In addition, Merrick is organizing The #1000RealEstateChallenge which consists in giving a free class to 1,000 people chosen at random so they can obtain their license and become part of his successful business, and the best thing is that it’s totally free. If you want more information click here https://merrickdamon.com/1000-agents-challenge/ and subscibe! Older How ‘On the Money’ is Off-Market Real Estate Investing?